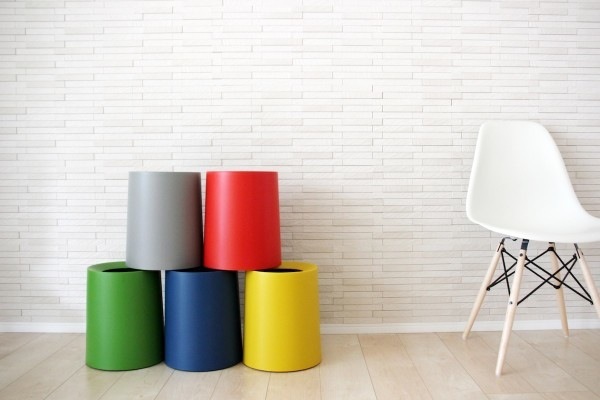 If you have created the perfectly designed nursery space you will know how hard it is to find a funky bin. Especially if the aesthetic you are going for is bright and modern. We can only dream about owning these Tubelor Homme bins by Ideaco for now, but there is nothing wrong with a bit of fantasy shopping over a cup of tea, is there? 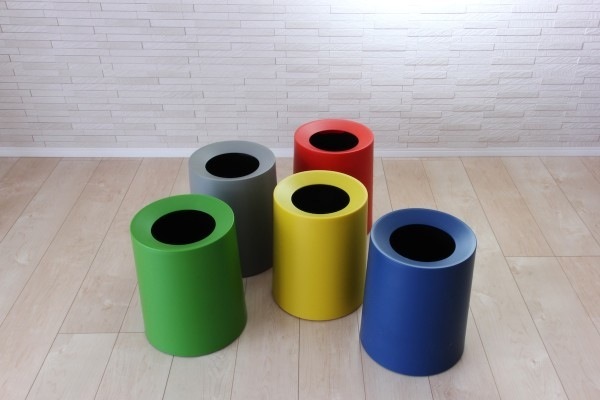 What sets these bins apart – other than the glorious colour – is that the coloured shell is there for more than just its good looks. It actually acts as a shield or lid to hide ugly rubbish bags from view. Smart, yes? This bold coloured range won’t be launched until September at Maison et Objet in Paris, France. If it’s just the snappy design you’re after and you’re happy to settle for some more subtle colours then you can get the original Tubelor Homme bins from Luminaire for US$44. They stock the original Rich White, Sand White and Black versions. You will have to set yourself up with a reshipper though as Luminaire don’t deliver to Australia. Or you could just dream about having a house so perfect that even your bin is a design award recipient.